Bryce & Bethany Merritt: Christmas with the Mrs.
Come join us for the 4th annual Christmas with the Mrs. hometown shows! 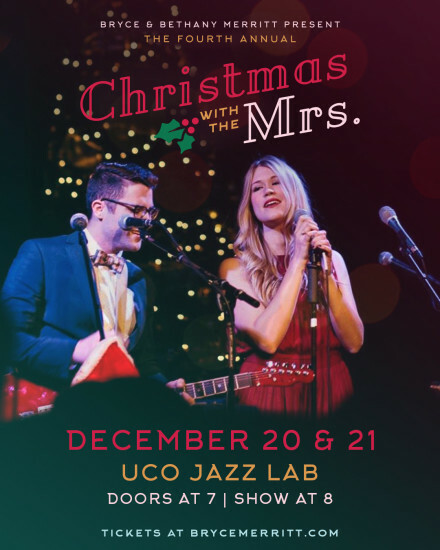 2 back-to-back nights, Thursday, Dec. 20th and Friday, Dec. 21st at the UCO Jazz Lab. Students - enter discount code 'STUDENT' to get $5.00 off! Must present valid student ID upon entry. Reserves 1 table for 4 people. 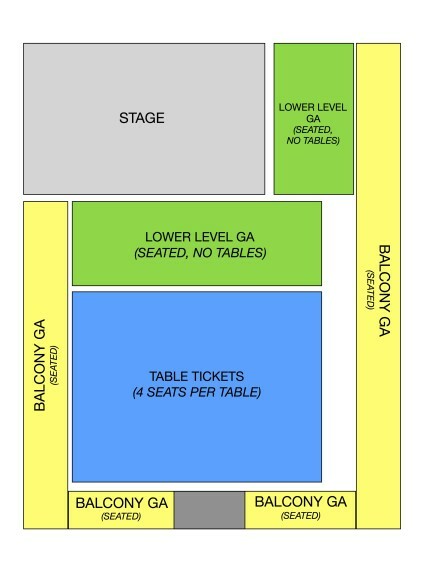 Your table will be marked with the name of the ticket purchaser.